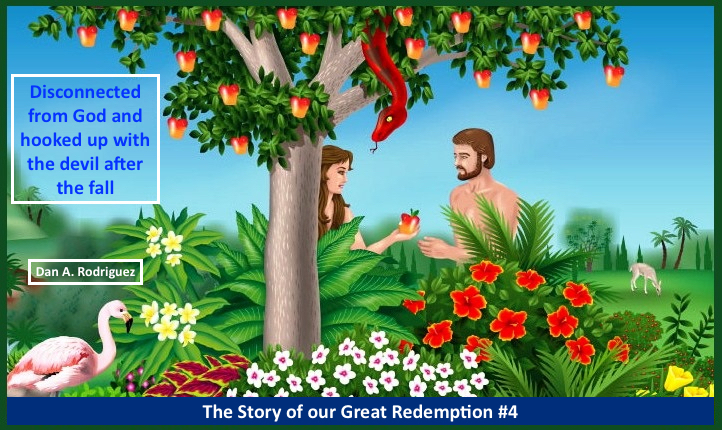 If being disconnected and removed from the presence of God in Eden was not bad enough, the fall of man did something even more sinister. It spiritually connected the first man and woman to Satan! The death and destruction in Satan became the nature of the human family. We see it cropping up its ugly head repeatedly throughout human history. It got so bad in Noah's day that it led to the world's population being destroyed in the flood. Get the scoop in this podcast. Remember that these podcasts are progressively increasing our understanding in order to begin to comprehend the "WHY" of Jesus' birth, death, resurrection, and ascension. Use this link to get the free published book (in PDF) "The Story of our Great Redemption." This book has the information I do not cover in these podcasts. The podcasts have other info that is not in the book. They complement each other, so get them both. Be blessed!